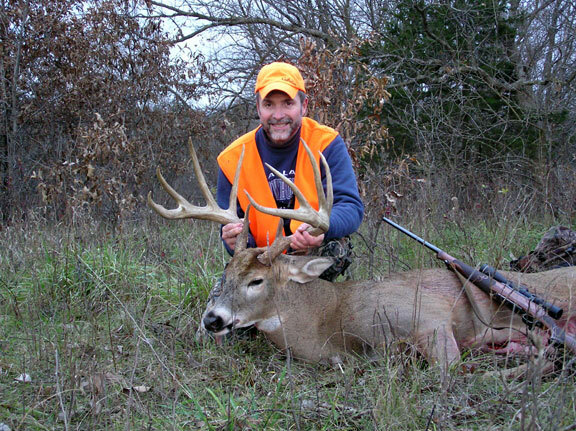 A common reason for non-resident deer hunting is addressed within this article. flexibility to hunt where and when on their schedule. There are several more intangible aspects. They further contribute to our quality of do it yourself hunting experience. These aspects are not so easy to demonstrate. A most significant intangible aspect is we understand what a good hunt is. That good hunt is what causes hunters to renew their membership. Membership renewals are what we work for. 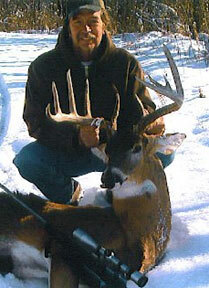 "...I took my buck of a lifetime, 182 3/8 gross 10 point which netted 176 5/8... Bob"
Pat, a member for over 12 years. Non-resident deer hunting we have observed that has most successfully remained members for years include two subgroups. First those who have a higher rate of individual success over recurring years. Second, are those who hunt as part of a group of infrequent individual success but frequent group success. First the individual hunter. One who has found his ideal combination of elements as demonstrated by an impressive string of wall hangers that deer hunter will remain a MAHA member for over a decade. This hunter when he does leave it is for reasons other than quality hunts. A secondary effect of this kind of self guided hunter is his sponsorship into his Association of local (home state) peer members. They come with a belief they too can recreate similar success of that lead hunter. They too want to enjoy a collection of great hunt experiences. A group remains intact providing variable members, not each member each season, in the group experience periodic success. In the case of these hunters the decision to remain with MAHA continues as a traditional hunt for a good many years. Degradation of this group’s membership follows one of two routes. First is the group begins to gain confidence they can successfully hunt with decreasing amount of effort or field time. Motivation for this change is it allows the group to hunt more than one state each season in an attempt to further increase the number of trophy whitetail’s they have the potential to harvest. 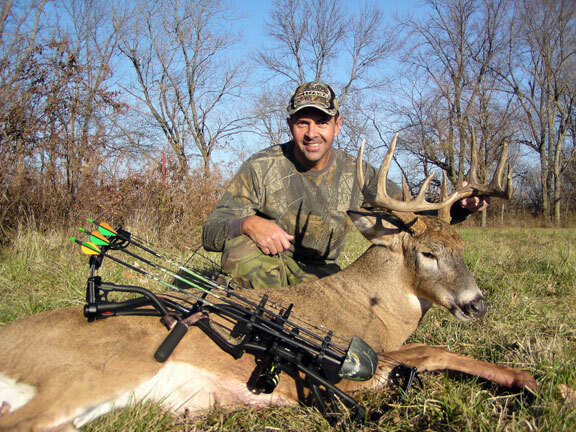 A second cause for a group’s not renewing their membership is result of a group decision they have filled to their satisfaction their quota of central mid-west whitetail deer. They want to move on to another adventure by locality or animal species. This is told to us by groups that did not renew their membership responding with they are headed to Canada for a bear, moose, caribou, etc., hunt. 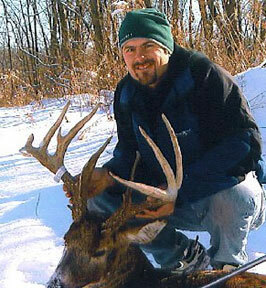 Within our non-resident deer hunters there dose exist a great deal of hunting experience, success and failure. Each hunter may make his own success or achieve his own level of failure. In every case all will have that same opportunity to the land, seasons and ability to make his own self guided hunt. An honest deer hunter he will come to realize his hunt is far more failure or near success than actual tags filled. Any hunter who enjoys a hunt itself will fulfill his expectation every trip. Those who measure success singularly by trophy racks on his wall will find more failure. The latter group is better off spending his money on a guided to set him up in a stand or other semi guided or even a canned hunt. Our difference cannot be over stated. 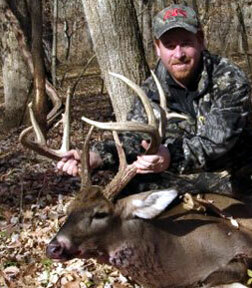 We offer only fair chase deer hunts. They will always be the most challenging deer hunts. Frank. He travels much farther than 90% of Association deer hunters. He has a good collection of mounts.